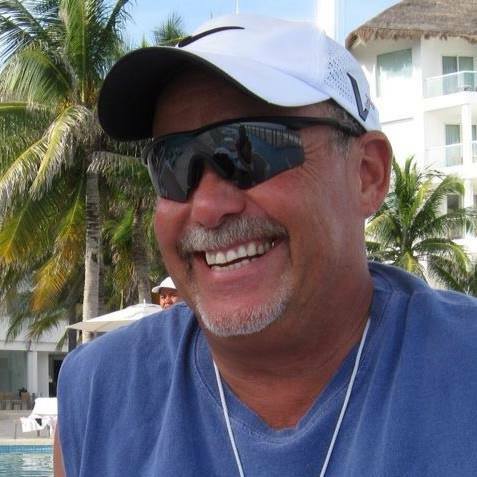 Corrupt Sheriff Bill Elder continues to laugh as he and his friends make millions? At the same time Patrol and Detentions Deputies lives are at risk due to ever decreasing staffing. Corrupt Sheriff Elder continues to divert 1A funds to pay for his cronies while Deputies lives are put at risk everyday. We have published multiple articles about Elder diverting 1A funds away from its intended goal and paying his buddies large salaries. We will have another article soon. 1A was passed by El Paso County voters to put more deputies on the street and in the jail. Neither has happened. Since Elder has taken office he has decreased the number of deputies. And because the environment is so bad he is loosing staff daily. Deputies are retiring if possible; quitting is necessary. Hundreds of sworn deputies have either retired or quit since Elder took office. We have shown Elder is COMPLETELY LYING about how he has increased deputies using 1A funds. Read Story. According to Elder he increased Patrol from 59 back in 2012 to 78 in 2016. What he did not tell you is that it was at 94 when he took office. WHAT A COMPLETE LIAR! The original 1A plan was for patrol to go above 100 assigned deputies. This was in the 1A funding documents. Where are these Deputies Bill? El Paso county voters passed a large tax initiative to make El Paso County safer with more deputies on the street. Corrupt Elder took that money and paid his friends huge salaries. Read Story. If you were to ask corrupt Sheriff Elder how many Deputies are working patrol he would answer “78” (just like this documents say). That would be a complete and total lie. The actual number of Deputies working patrol today is 55. We have the staffing document and it looks like swiss cheese. There are less deputies working patrol today than back in 2012! With 1A funding there was suppose to be over 100 deputies working the street; there is just over 50% of that working patrol today. 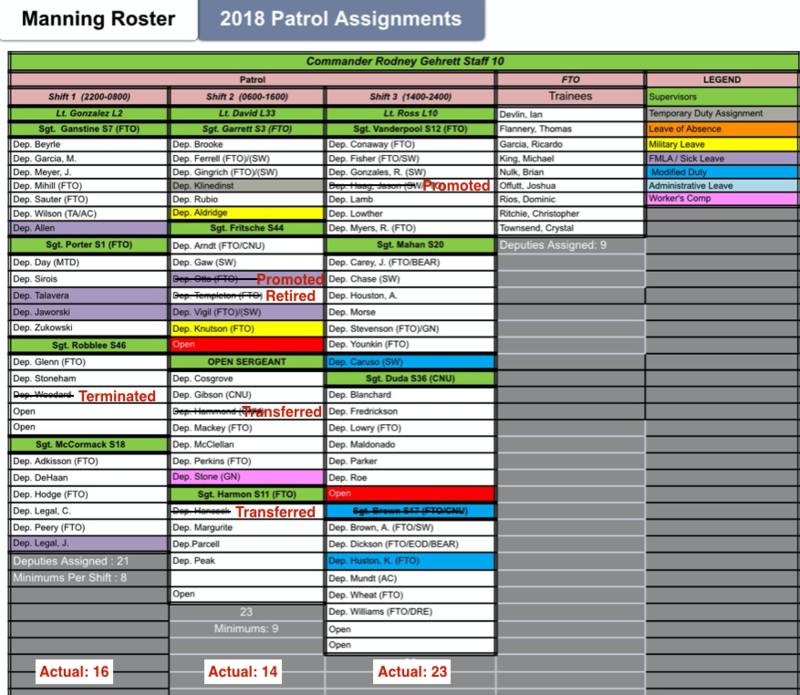 Don’t believe us; here is the current Patrol Roster. We challenge Corrupt Sheriff Bill Elder to prove us wrong! WHERE IS THE 1A MONEY! We have been contacted by many patrol Deputies who are concerned about the staffing. Corrupt Sheriff Elder is putting Deputies lives at risk by spending (Wasting) all the 1A funds on other things. WHERE IS THE MONEY GOING? We have been told there is already no money for training. Corrupt Sheriff Elder is doing what ever he can to keep everything a secret until after the primary next month. He knows it is all going to fall apart. 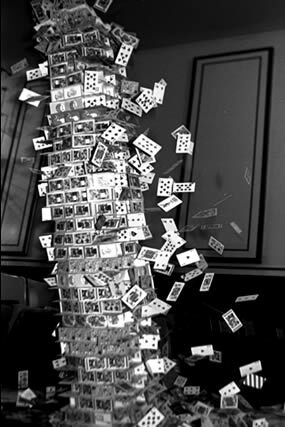 His house of cards is collapsing. Where is the MEDIA? All they have to do is a CORA request for the current Patrol roster. Corrupt Sheriff Elder has wasted millions of taxpayer money. Is he going to be held accountable? Corrupt Sheriff Elder has put the entire El Paso County Sheriff’s office (EPSO) at risk of collapsing. Not only has he not increased staffing with 1A funds, he has “back filled” many positions. This means there is less staff being paid with general funds now than before 1A was passed. Which means if 1A is not renewed in 2020 EPSO will have to reduce staff to numbers below staffing in 2012. Many deputies will have to be laid off. How sad is that! Corrupt Elder has “bankrupted” EPSO. What a surprise Elder filed for personal bankruptcy and now he has done the same with EPSO. 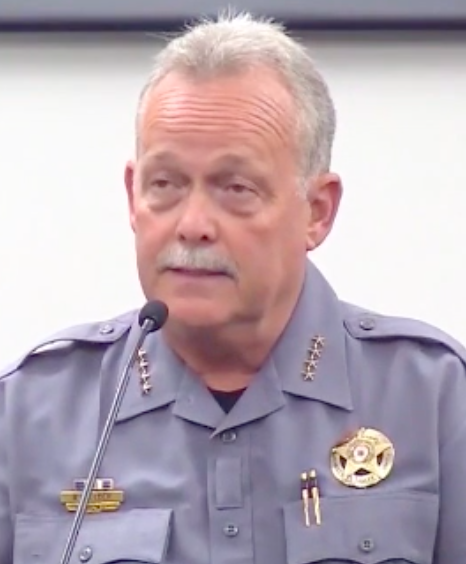 CORRUPT SHERIFF BILL ELDER IS THE BIGGEST LIAR IN EL PASO COUNTY!